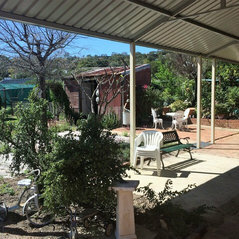 The Landscape Guys is a Family owned business and we have our office, warehouse, landscape displays and materials yard all at the one location at 18 Horus Bend, Bibra Lake, Western Australia. 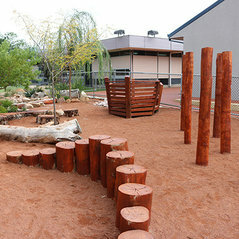 Although we undertake all types of landscaping from commercial to nature play in schools to synthetic sports courts to residential front and back yards we have a particular know how and the resources to offer low maintenance and water saving gardens that are a necessity in our dry state of WA. 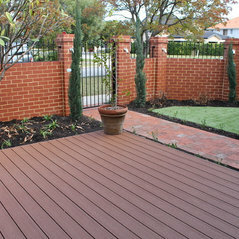 We are a sister business to Astrodeck Warehouse who are main suppliers of top quality synthetic turf and also super durable Superwood Composite Decking that needs no sealing or regular maintenance. So if it is easy care and water saving that you are after we have it covered. In our family atmosphere we are always happy to have you visit our premises and answer your landscaping and horticultural questions and should you wish to have a quote for your proposed work, we will visit your site and work with you to achieve your objective. We will design and construct your project or work to existing landscape plans. Projects include all earthworks, farm driveways, retaining walls, feature decks, pool surrounds, feature walls, formal gardens, tennis and basketball courts, putting greens and putt putt, school playgrounds and complete home landscaping. 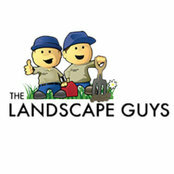 Professional Information:The Landscape Guys is a Family owned business and we have our office, warehouse, landscape displays and materials yard all at the one location at 18 Horus Bend, Bibra Lake, Western Australia.